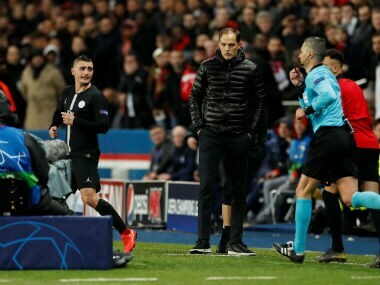 Paris: Stunned Paris Saint-Germain coach Thomas Tuchel said his side's Champions League exit at the hands of Manchester United on Wednesday was "cruel" but refused to blame the match officials after the late VAR-awarded penalty that decided the tie. "I am a big supporter of VAR and I stay a big supporter of VAR," said Tuchel, who looked white as he spoke to media after PSG's 3-1 defeat at the Parc des Princes in their last-16, second leg. 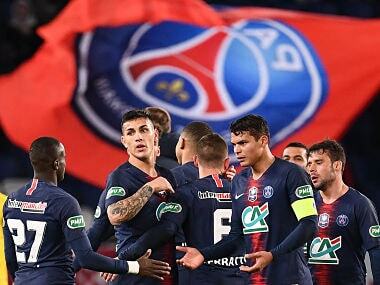 Having won 2-0 in the first leg last month, the French side wobbled in the return but were still going through until Slovenian referee Damir Skomina gave a stoppage-time penalty for a Presnel Kimpembe handball in the box, after reviewing the images. 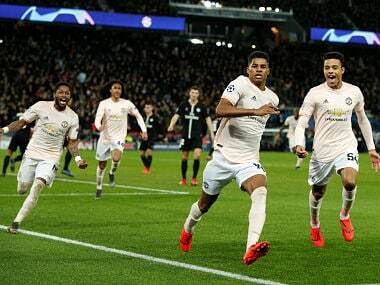 A Diogo Dalot shot had struck Kimpembe, and Marcus Rashford duly converted from the spot, as United went through on away goals. "From my point of view I watched Dalot take the shot. I saw the ball flying straight from his foot and for me it was clear that it was going way over the bar," said Tuchel. "There are many things to discuss before taking the decision and I think it's a 50-50 decision. "What makes it super hard is that I had the clear feeling that the shot was not on target, and to get rewarded with a penalty, there is no logic." A Romelu Lukaku brace in the first half had given the visitors hope of an improbable win, but Juan Bernat scored in between to keep PSG on course. Tuchel added: "You can say that we played on this thin line for 60 minutes knowing that if we don't score, we can blame it." The German said the manner of the defeat, after they had dominated much of the game, was "perhaps impossible to analyse". PSG are the runaway Ligue 1 leaders, but this is the third year running in which they have gone out of the Champions League in the last-16. "If it were a league game you would wipe your mouth and go on, but today it's horrible and cruel," he said. "It happens once in 100 games. We did not deserve to go out over 180 minutes, but that makes it not easier to deal with."